Quality begins on the farm. New Zealand sheep are raised on their natural diet – grass – in their free-range natural environment – on the land. 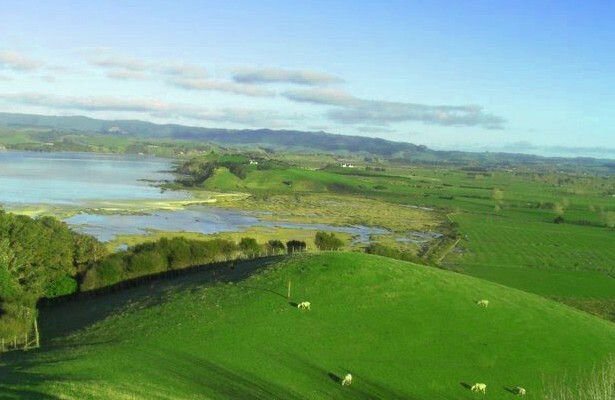 Pastoral farming is so successful in New Zealand because the temperate climate is ideal for growing grass. Grass grows well where the annual rainfall is about 40 – 60 inches (1000-1500mm) and when the temperature is above 43ºF/6ºC. Summer and winter over much of New Zealand are mild, so grass grows throughout the year. Sheep can be kept out of doors all year and need very little extra feed. Hay and silage (conserved grass) are sometimes used as supplementary feed for stock in winter. Grass-fed lamb is generally lower in fat content and so has a general healthy profile. However, New Zealand farmers do not rely only on the climate. They sow grass species that grow well on their particular farms, they apply fertilizer (primarily rock phosphate, superphosphate and liquid fertilizer) and in drier areas they may irrigate their pasture during periods when rainfall is too low. Growth promotants are prescription animal remedies and are not licensed for use in sheep. Antibiotics are not used as a feed supplement, but will be used occasionally to treat an afflicted animal. *MAF (Ministry of Agriculture and Forestry) rules govern the use of any antibiotics and the associated time periods lambs are held prior to being eligible for the market. The type of pastoral farming varies from one area to another. New Zealand consists of two large islands, called the North Island and the South Island, one smaller island and hundreds of tiny islands. In the North Island, sheep are reared with beef cattle and deer on the rolling lowlands and high country, and on the flat plains of the southern parts of the North Island. In the South Island, on the high hill country land, where the tussock grass is not a rich feed sheep are reared sparsely on large farms, called stations. In the lower areas of the South Island with higher rainfall, sheep are farmed more densely and on some hill country farms, beef cattle are reared together with sheep.